After learning about the game from his grandson, the 70-year-old man went ahead and rigged his bicycle with fifteen smartphones, mounts, cables, and power banks to last him an entire night — $4800 worth of gear overall. The setup looks mighty impressive, and allows him to catch any and all Pokémon he comes across while moving across the city and meeting fans of the game. 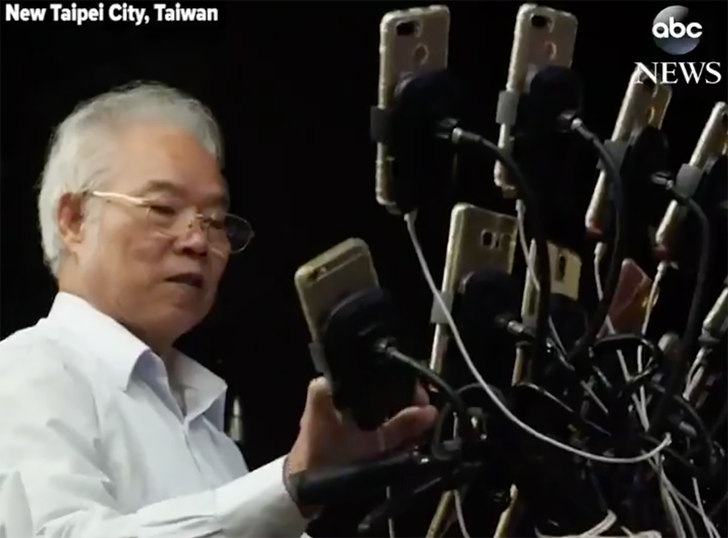 I can't even imagine my parents playing Pokémon GO on one phone, and here's this grandpa doing it on fifteen phones simultaneously, with a setup that would make my phone collection blush. Nevermind the fact that we all look like noobs compared to him. Congrats, grandpa, you now join the famous Italian grandma as one of my favorite grandparents ever.